It is much, much more; for us readers, it is an intimate encounter, chapter by chapter, wherein we are entertaining new friends; having the privilege of listening to, savouring and indeed cherishing the rarely heard Palestinian stories saturated with the fears, joys, suffering, triumphs of the human spirit. Baroud’s approach and praxis of a people’s history debunks the traditional accepted notion of Carlyle’s Great Man theory which proposes,”The history of the world is but the biography of great men” with the Elite Hero as its absolute focal point. Baroud, however, by honouring the archetypal hero within our deepest selves connects us to the shared aliveness of the Palestinian Other; of Matsam, Khaled, Jamal Khaleel, Tamam, Um Marwan, KamalHana, Sara, Ali, Leila and many more as well as solidarity friends like Joe. With alchemical brilliance, he has, in the crucible of his art, purified hours of recorded interviews on love stories, generations of births, childhoods, disappearances, adversity, torment, deaths into the essence of Love and Truth and the magic is – we too are purified and illumined by a powerful knowing that can never be un-known. As an activist, commentator, author, editor, poet, Baroud’s prodigious energy equals his prodigious sense of responsibility to Palestine’s struggle for political and human rights. His articles have an intellectual discipline to fine analysis and facts, whilst under the poetic sheen of The Last Earth, honesties are excoriated and refined through a powerful emotional turbulence; tender and intolerable. The Last Earth presents eight personal stories, I shall touch only upon three stories, The Spirit of the Orchard, Death Note and Letters to Heba and leave the remaining five for your discovery. The Spirit of the Orchard encapsulates the revolutionary spirit that is rooted in the earth of Palestine, grows upward through Palestinian hearts and rendered a force by family. Across three generations trapped in Israeli brutality, the story of Yousef, Hamda, Salim, Um Marwan, Mahmoud and their children, Marwan, Kamal, Iman proves that, when Palestine and her children are under threat, ordinary people become heroic and women emerge from their kitchens and orchards as lionesses wedging themselves “between screaming children and angry soldiers” and tend, like Fatima, to the wounds of Palestine’s champions. That is is a true story is both sobering and soaringly inspirational. Death Note: News of Hana Shalabi’s arrest and her later deportation to Gaza never revealed what happened in between. Her story expands beyond the news bites to the Nakba and her family’s expulsion from Haifa to Burqin near Jenin where her father, Yahya and mother, Badia met and married, where her teenage neighbour, Mohammed was shot by Israeli soldiers before her eight-year old eyes, where her revolutionary siblings Omar and Amar and sister, Huda were arrested, where nearby Israelis crushed Palestinian resistance and demolished the camp, where her martyred brother Samir is buried, where Hana was arrested without evidence for being a threat to Israel by the Palestinian Authority which turned her over to the Israelis. Hana’s phenomenal defiance is measured above and beyond the humiliation, physical and mental torture she endured for 25 months. The brutality was repeated with her second arrest in 2012 and this time her demand for justice was a hunger strike for 47 days that brought her to death’s edge and exile to Gaza. Letters to Heba reminds me of the trials of Job for such is the harsh history, the vagrant odyssey and personal, physical and mental sacrifices of Palestine’s freedom fighters. Ali Abumghasib is now old man, a noble Bedouin and battle scarred veteran soldier of the resistance and his story unfolds through his letters to his daughter, listed as a missing person from Deraa refugee camp in Syria. In 1948, the Abumghasib family were torn from their village Wadi Al-Shalalah in Bir Al-Saba and fled to Gaza. In the 1967 Naksa, Ali escaped to Jordan where at 17 he joined the PLO. Decades later, back in Gaza, Ali clings to the hope of reuniting with Heba. One fervently hopes that with Heba, his odyssey will soon culminate in his return home to Wadi Al-Shalalah. As I read these beautifully written narratives, I easily relate to the childhood pleasures, teenage crushes, falling in love, connection to place but I wonder at the soul strength of Palestinians for whom normality is the violence of the illegal Israeli occupation and I wonder how would I cope with losing my home and not know for decades whether it was blown up, demolished or unlawfully inhabited, sans compensation, by foreign predators? 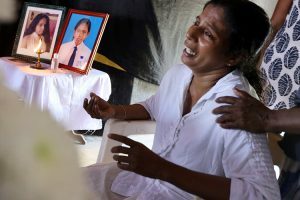 how would I cope with the devastating murders of my parents, or siblings, or neighbours and friends? could I relinquish my dead child (children) for burial? could I bear torture? have I the strength for a 47 day hunger strike? I don’t know the answers but I do know that I bow with great respect to the Palestinian warrior soul. These stories set in the default position of exile and loss, whether within Palestine or the diaspora, challenge Israel’s megalithic propaganda and rearticulation of Palestinian history, stolen and maimed over decades of savage Zionist colonisation. The Last Earth redresses and reclaims Truth built on the abiding, unfaltering Love for the stolen Palestinian homeland sealed with sumoud in indomitable refugee hearts. 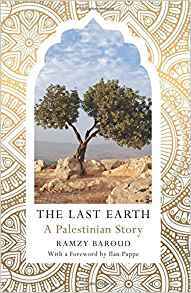 This is a dangerous book because by inviting us into an intimacy with the people of Palestine, it predicates compelling moral action to end the monstrous injustice; for this reason Baroud’s The Last Earth must be read and shared. The Last Earth: A People’s Story of Palestine, Pluto Press, UK. Pre-order the book and share the information with your social media networks.